Inlaid with a Diamond. 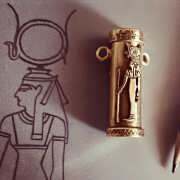 Symbol of Venus with the balancing factor of Libra. Limited Edition was assmbled on the 19th of August 2018. Limited Edition was assembled on the 19th of August 2018 between 15:00-15:45 GMT+3 at Venus planetary hour, while Venus in Libra was culminating on the Midheaven and receiving a sextile (harmonious aspect) on both sides from the Moon and Mercury (being at the apex of a B-sextile). This month we are honoring Venus, the Goddess of love and sensuality, beauty and elegance as she is elevated by being in her airy Sign of Libra. In this sign Venus is balancing the scales and dispensing the virtues of harmony and proportion, she is softening the touch and sweetening the taste, enhancing attractiveness, personal charm, elegance and charisma, strengthening the bonds of friendship and romantic relationships, elevating inner peace, joy and humor, and all amorous pleasures. 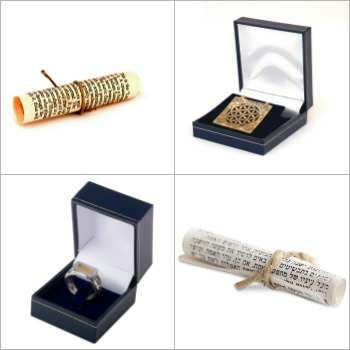 This Talisman can invoke romance into your life, as well as social and artistic abilities. 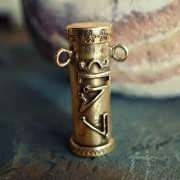 Its believed to be a powerful tonic to strengthen all levels of relationships, but particularly the romantic, intimate and sensual. "Procures concord, ends strife, procures the love of women, conducive to conception, is good against barrenness, causes ability for a generation (childbearing), dissolves enchantments, and causes peace between man and woman. 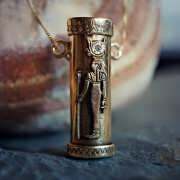 It conducive to the cure of all melancholy distempers, and causes joyfulness; and being carried about travelers make them fortunate"
On the front side of the Talisman appears the image of the Egyptian Goddess - Hathor who personified the principles of joy, music, feminine love, and motherhood. 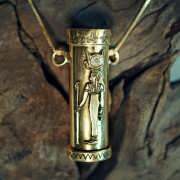 The ancient Greeks identified Hathor with the goddess Aphrodite (Venus). 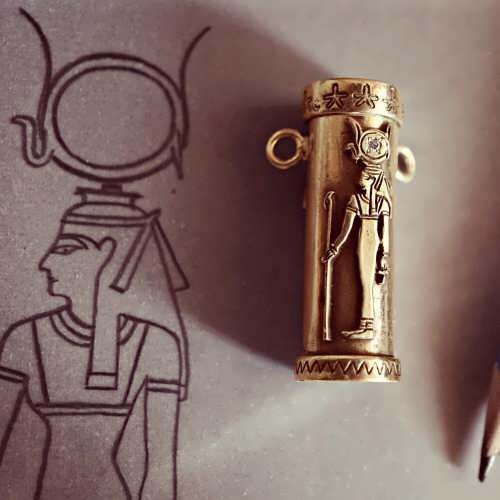 On the back of the talisman, I've placed the seal of the ‘spirit' and 'intelligence' of Venus and the glyph sign of Libra. 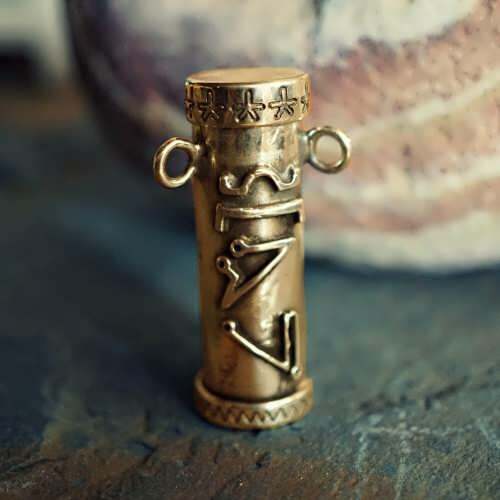 As part of my efforts to bring you the most unique and original concepts possible, this special Talisman is a combination of ideas, perceptions, beliefs and ancient remedies that were used thousands of years ago. The ancients believed that the cosmic impacts of the heavenly bodies influence not just human actions, but also the different realms of nature. For example, each planet is connected to different plants, stones, and animals. 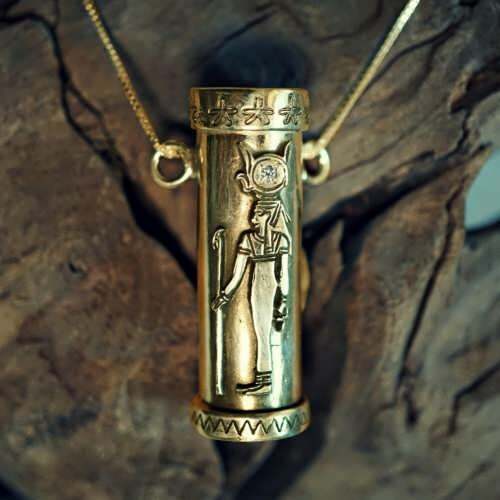 Inside the canister, there are rose leaves which is a plant associated with venus, and a piece of copper - the metal that is connected to Venus, and on top of the talisman, I've set a diamond. The stone of Venus.